Addicted to social media? Here are 5 tips to help unplug and unwind. Today, it's almost impossible to not spend lots of time on social media. There is a constant stream of breaking news and updates from friends. Plus, devoting professional time connecting with influencers and even occasionally losing track of time with those cute puppy videos all add up too. Social media is really hard to get away from, right? But there can come a point where social media takes over your life, which isn't great for a small business owner. Recent research shows people are spending more time than ever on social media apps. Now, the average person can spend nearly 3 hours a day on Facebook, Instagram, and Snapchat apps combined. That is a lot of time each day. That time is probably better spent working out, tackling items on your to do list or spending time with family. And let's face it, each of those are far more beneficial to a small business owner. Being addicted to social media is a massive distraction. It diverts from work responsibilities, health and family life. And, there's no doubt, a healthy small business owner who focuses on balance, not Tweets, is more likely to see success. 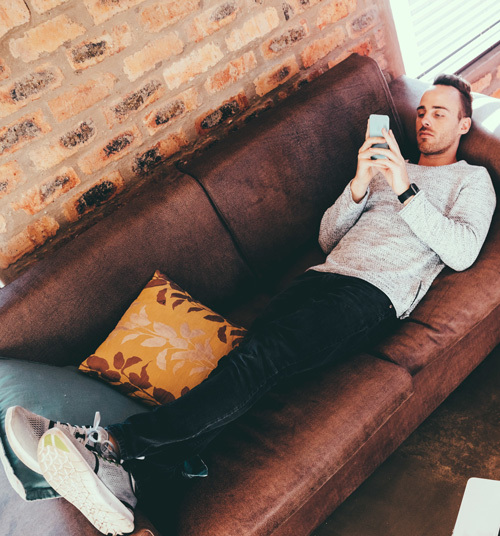 In this post, we're going to help you put down your phone and cure that social media addiction. Here you'll find real and actionable tips to help you use social media more effectively when your business needs it. Constantly glancing at your phone to see if you have new likes, followers or messages? A simple action such as turning off your notifications one way to make the itch less easier to scratch, so to speak. When you aren't alerted that you've got a new notification on social media, it's not as tempting to grab your phone and start exploring. With notifications turned off, you'll be ready to check social media on your own terms. Want to cut off your social media use (virtually) cold turkey? You can remove your favorite social media apps from your phone. Feel like it's too much to start? Try doing it in small chunks instead. On Friday night, remove the apps and go social media free for a weekend. Over time, you'll stop grabbing your phone all weekend to check the latest alert. Expand from there. And you have nothing to lose. If you feel lost without a particular app, you can always download it again. So you might as well try going app free for a bit. If you need to bring in some reinforcements to help you curb your social media addiction while on your desktop, don't worry, you've got options. Both SelfControl and StayFocused are two programs you can use where you can block certain sites for specific amounts of time during the workday. If you try to go to Facebook.com, for example, you'll get a not so gentle reminder to keep working. There's no denying you're going to need social media for your business, so why not schedule time to do it? This is a really good productivity hack you can use to keep yourself on track and still get the benefits of social media for your brand. Schedule blocks of time during the week that's solely for social media. Use it to interact with followers, create real-time posts and pre-set more posts for the next few days. Now that's making social media work for you, instead of you working for it. Speaking of pre-scheduling, social media automation tools like Buffer and Hootsuite can help you set up and schedule posts across all of your social media channels. These can work for a few hours ahead or as far off as a few months down the road. With scheduling tools, you can take care of the bulk of your social media ahead of time, leaving the time you do spend on it much more targeted. Once you've got a handle on using your social media productively, you can focus on growing the rest of your business. Cake can help ensure you're protected with colorado workers' comp insurance. Contact Cake today for a 5-minute workers’ comp quote.